The top seed is the overwhelming favourite to lift a 17th career major at Roland Garros. 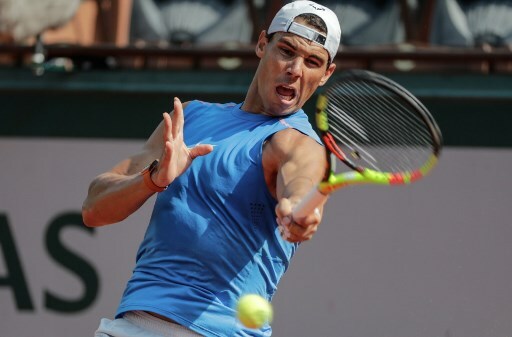 Rafael Nadal said Friday he is happy to “suffer” as he chases an 11th French Open title. The top seed is the overwhelming favourite to lift a 17th career major at Roland Garros after claiming his 11th titles on clay in both Monte Carlo and Barcelona this spring as well as an eighth trophy in Rome. “In the end, sport is about trying to give the best of yourself,” said the 31-year-old. “The sensations of matches of three or four hours, played at the limit and thinking about the next point, these are beautiful moments. With Roger Federer and Andy Murray not playing at the French Open, which starts on Sunday, Nadal is the short-odds favourite to win a tournament where his overall record stands at an astonishing 79 wins and just two losses. His expected stranglehold has been further tightened by former champions Novak Djokovic and Stan Wawrinka attempting to regroup after long-term injuries. Djokovic, the champion in Paris in 2016, has seen his ranking slip to 22 after an elbow injury. Wawrinka, also the runner-up to Nadal last year, has only this week returned after three months on the sidelines having undergone knee surgery. However, Nadal remains wary of the danger posed by Djokovic who he defeated in the Rome semi-finals last week. “Novak is one of the best players in the history of this sport,” said Nadal. “My answer is he’s not coming back — he’s there always. Nadal has been handed the better part of the draw in Paris. Djokovic, Wawrinka, as well as Austria’s Dominic Thiem who ended Nadal’s 50-set winning run on clay in the Madrid Masters quarter-finals, are all in the other half of the draw where Alexander Zverev is the second seed. Nadal insists that his setback in Madrid is now a thing of the past, pointing to the radically different conditions in Paris. “Everybody knows that Madrid is the most different tournament on clay — at the same time it is the most difficult one, because the ball flies a lot. “This altitude is a different story. Of course I lost in a match that I didn’t play very well.